This family bungalow contained a small kitchen and a dining room extension which was not built to todays standards. 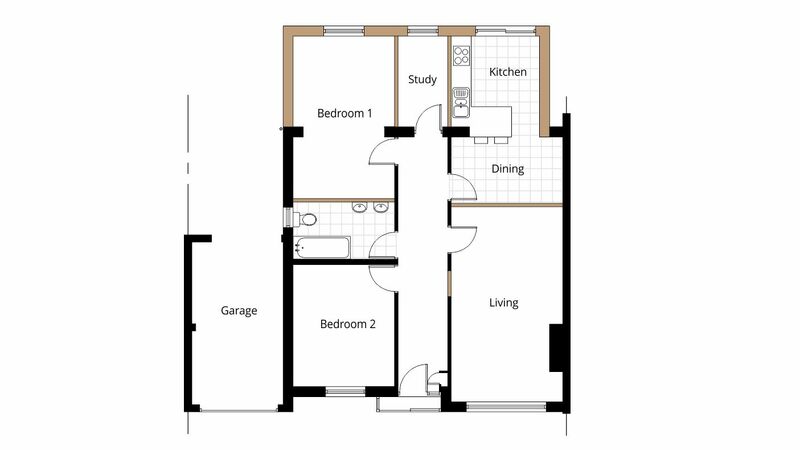 The clients insisted on demolishing the existing rear extension and applying for planning permission to Swindon Borough Council for a full width rear extension creating a larger kitchen, new family bathroom and study. Measured building survey drawing illustrating the existing floor plan for submission as a planning application to Swindon Borough Council. 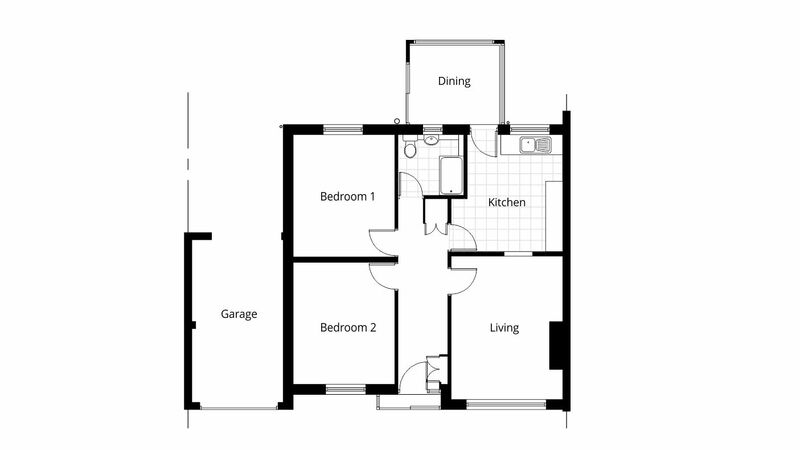 Proposed floor plan drawing illustrating the extent of the rear extension with a large kitchen, new family bathroom plus the addition of a study looking out to the garden. This drawing is part of the submission as a planning application to Swindon Borough Council.